We are thrilled to announce that Laura Notarbartolo, the founder of Italian Special Occasions DMC, was interviewed by Italy Magazine, the world’s most trusted source for everything authentically Italian. 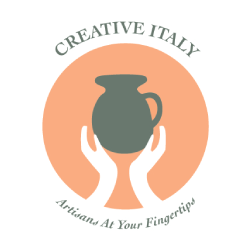 This publication is produced by an international community of people who love Italy and Italian culture. It is dedicated to delivering content that celebrates the beauty and authenticity in Italian travel, lifestyle, language and food. In other words, Italy Magazine reflects perfectly our own philosophy at ISO! In the lively chat with expert travel blogger and social media strategist Georgette Jupe, Laura shared some valuable insider information on how to plan an unforgettable wedding in Italy, in a stress-free and personalized way: from budget issues to picking the perfect location, from choosing the ideal season to providing wedding guests with amazing local experiences. The interview also includes personal anecdotes about how and why Italian Special Occasions DMC was conceived, and practical examples of creative event management. The closing questions regard one of the most exciting elements of the wedding: the dress! With ISO, brides who want a wedding that is 100% Made in Italy, can experience the Italian Wedding Couture program, which allows them to design their own unique dress with an Italian high-fashion designer. Why should you choose Italian Special Occasions DMC for your authentic destination wedding?